Live and Let Hike hit its stride in 2016, nearly tripling the number of visitors and page views seen in 2015. I also passed a new milestone—my 200th blog post—and greatly expanded the geographic breadth and depth of hike descriptions, including posts from Colorado, Maryland, Virginia, West Virginia, Washington, DC, and Quebec. Taking a break from the cool-headed and dispassionate tone of this blog, let me revel in this for a moment…this year has been pretty rad. Having the benefits of greater traction on Google and other search engines, the top 5 most visited posts (excluding the home page) were all holdovers from past years: (1) Peekaboo and Spooky Gulch Loop (Grand Staircase-Escalante NM, UT); (2) Rock Circuit Trail (Middlesex Fells Reservation, MA); (3) Top 10 Hikes in Capitol Reef National Park’s “Backcountry”; (4) Ute Trail – Alpine Visitor Center to Milner Pass (Rocky Mountain NP, CO); and (5) Capitol Reef Hiking Guide. Nevertheless, I crafted 69 new posts in 2016 and have added several hikes to my all-time favorites. Check out the list below for my (heavily subjective) “top ten” hikes that I completed this year, ranked in reverse order. This moderately difficult hike wins this year’s honor for best mountain hike close to a major city. Just over an hour’s drive from downtown Baltimore or Washington, DC, Sugarloaf Mountain preserves the area’s best known example of a monadnock and includes a flurry of interlocking trails. 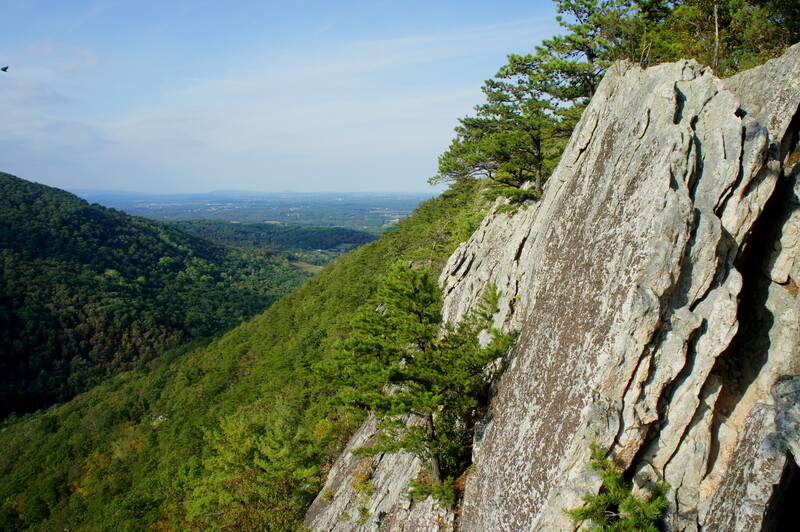 The 5.5-mile Northern Peaks Trail crests three quartzite-topped summits and loops around to White Rocks, which offers fantastic views of Maryland’s Frederick Valley. See my post on December 17, 2016 for a full trail description. The lone hike on this list that does not include mountain views, the 8-mile North Valley-South Valley Trail Loop in Virginia’s Prince William Forest Park packs a punch with its majestic waterways, peaceful hillsides, and historical potpourri. 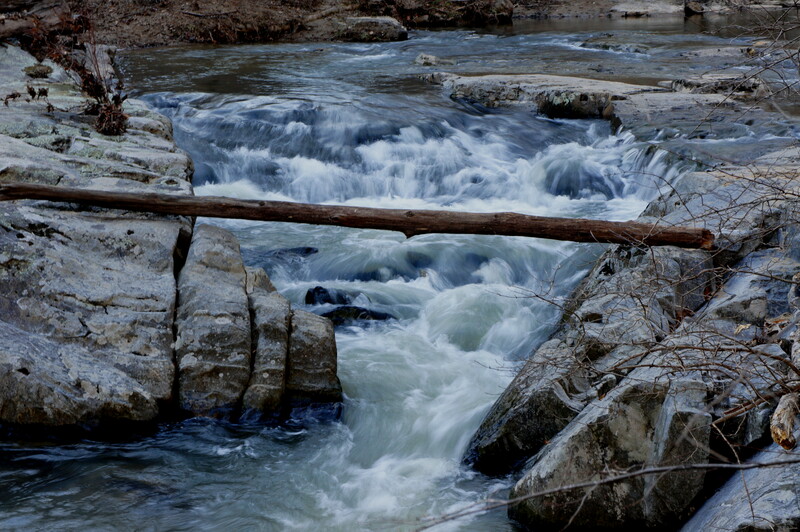 A terrific place to take photos of rumbling cascades and short waterfalls, Prince William Forest Park is less than an hour’s drive from Washington, DC. See my post on March 26, 2016 for a full trail description. Ascending the eastern slopes of the Blue Ridge Mountains, this moderately strenuous, 4.8-mile hike in northern Virginia features rolling farmlands, thick woods, and an abundance of sun-soaked viewpoints. 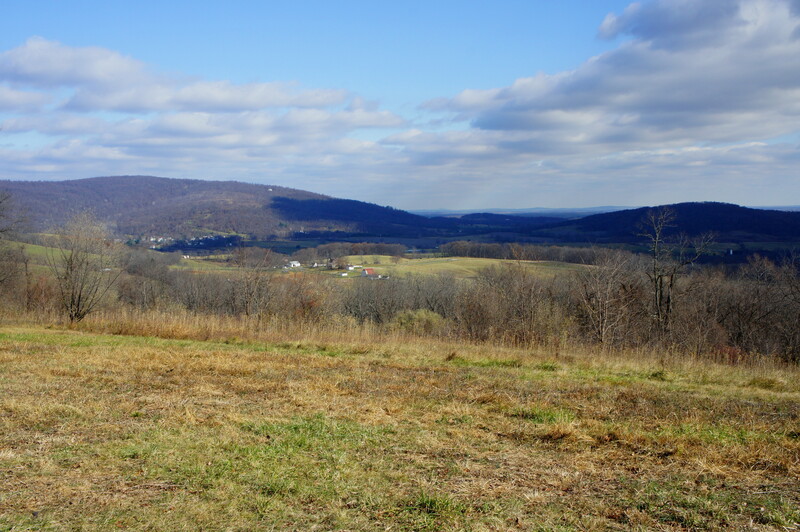 Sky Meadows State Park can also be relatively easily reached from Washington, DC, making it a popular alternative to Shenandoah National Park farther south. See my post on December 27, 2016 for a full trail description. In general, hikes in the mid-Atlantic region are really no match for the mighty Rocky Mountains out West. 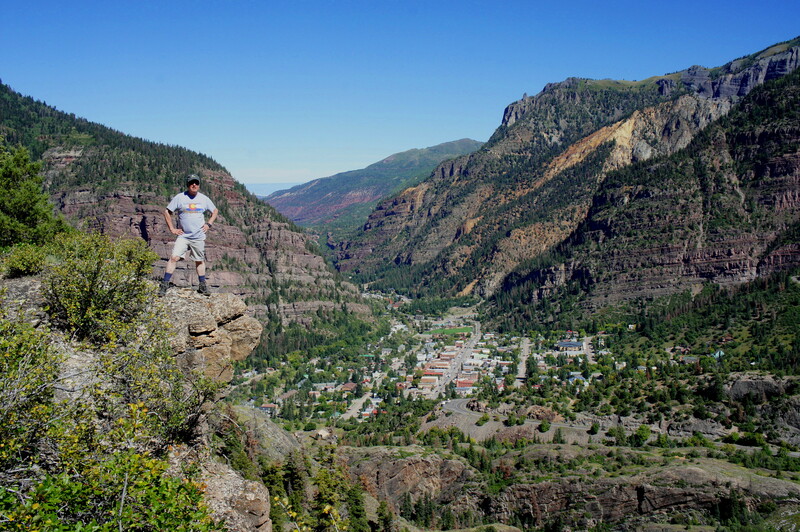 Though far from southwest Colorado’s best, Ouray’s Portland Trail leads hikers up a gradually-sloping incline to views of an impressive, highly-sculpted rock face known as the “Amphitheater,” which—if viewed in the evening light—is illuminated in hues of white, yellow, and purple. See my post on October 9, 2016 for a full trail description. Just down the road from the Portland Trail, the strenuous Sutton Mine hike climbs a jarring 700 feet in its first half-mile. 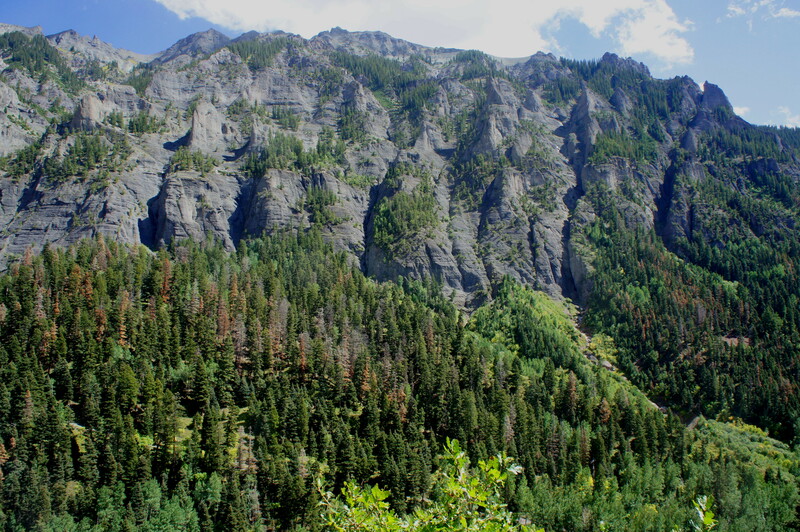 But hearty hikers are rewarded with magnificent views of Ouray, the Uncompahgre Gorge, Bear Creek Falls, and southwest Colorado’s San Juan Mountains as the path levels out for most of the remainder of the 4.4-mile out-and-back hike. See my post on October 13, 2016 for a full trail description. 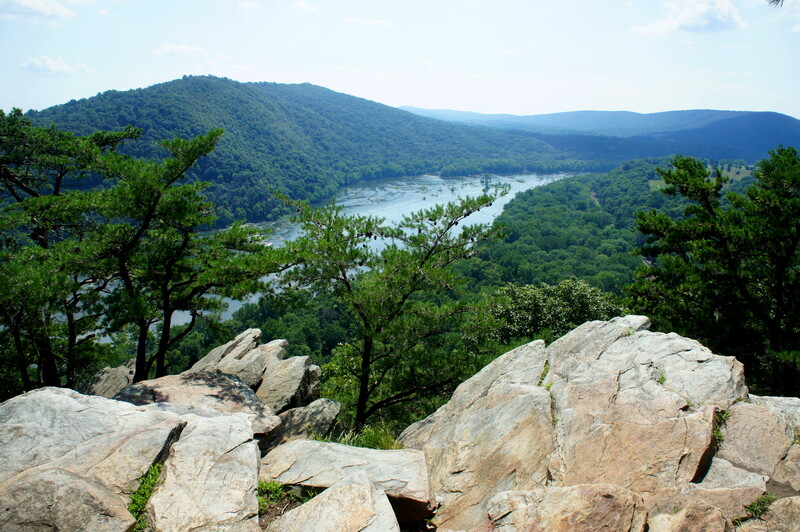 Arguably the best overlook in the Harper’s Ferry area, Maryland’s Weverton Cliffs sits more than 500 feet above the Potomac River as it weaves through a beautiful mountain gap. 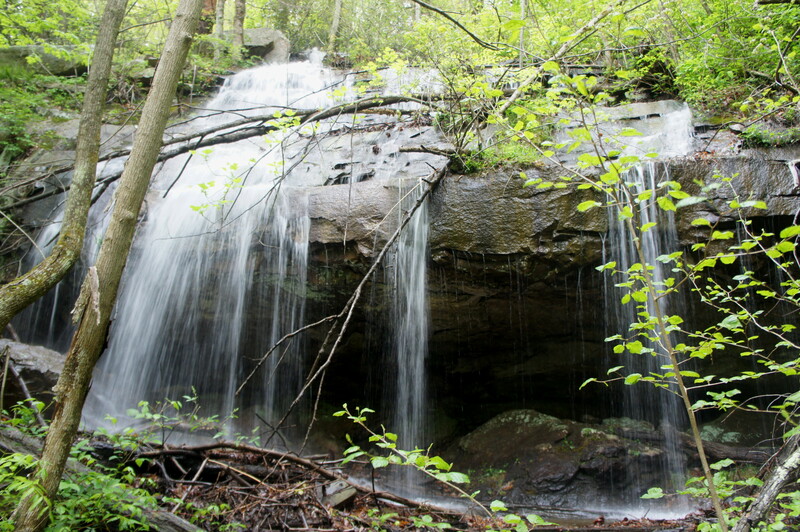 It is reached by way of the famed Appalachian Trail and makes for a short but rewarding trip, less than a mile from the trailhead off Weverton Road. See my post on September 10, 2016 for a full trail description. 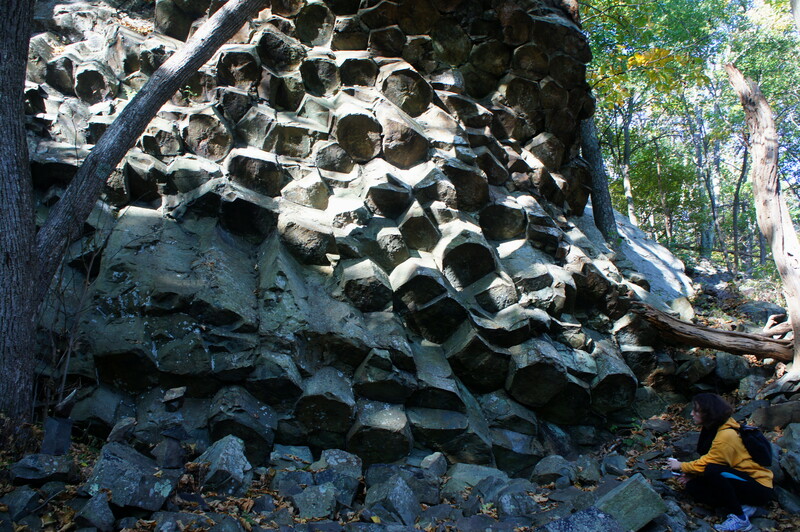 This short hike to the summit of Compton Peak offers panoramic views of Virginia’s Shenandoah National Park, but the real gem is a minor detour to a spectacular exemplar of columnar jointing, a geologist’s El Dorado. 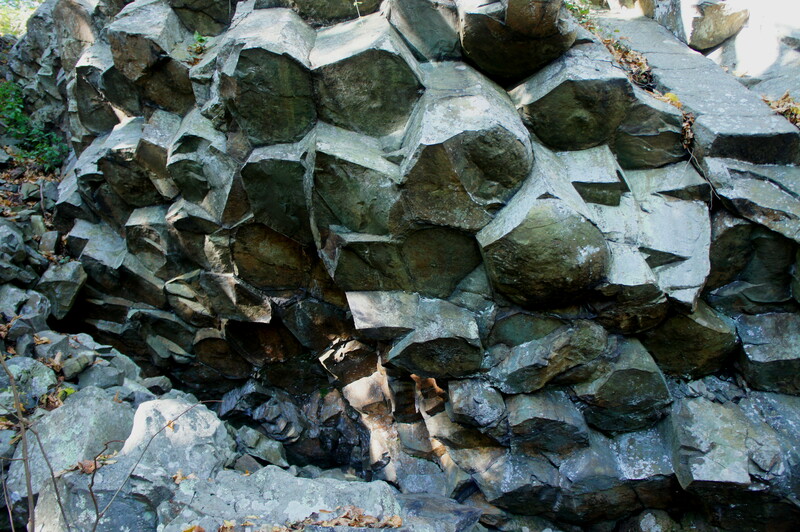 Here a huge chunk of fractured basalt has been flipped nearly upside down by weathering of the Blue Ridge Mountains, revealing a spectacular and photogenic array of hexagonal columns that is highly unusual to the area. See my post on November 20, 2016 for a full trail description. 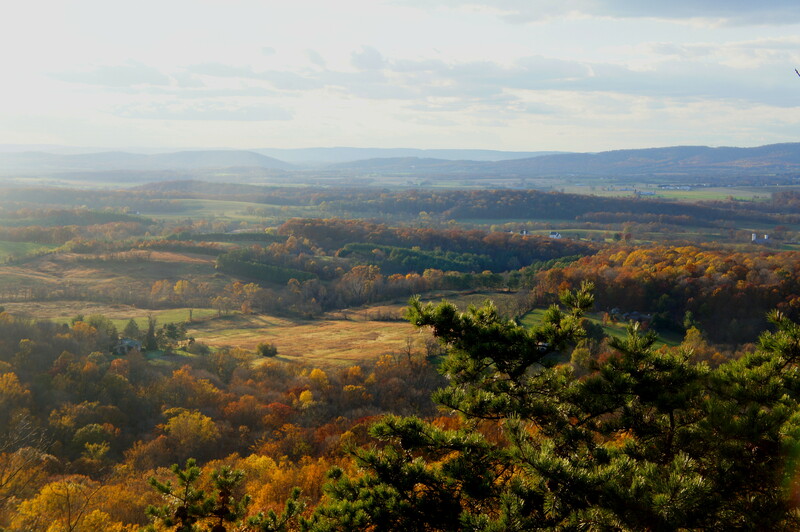 Far from the highest point on northern Virginia’s Massanutten Mountain, Buzzard Rock nonetheless is a superb destination for its sweeping views, stony jumbles, and razor-thin ridge of chalky sandstone. The strenuous 9-mile out-and-back from Elizabeth Furnace is a haul, making this no easy walk in the park. See my post on October 8, 2016 for a full trail description. 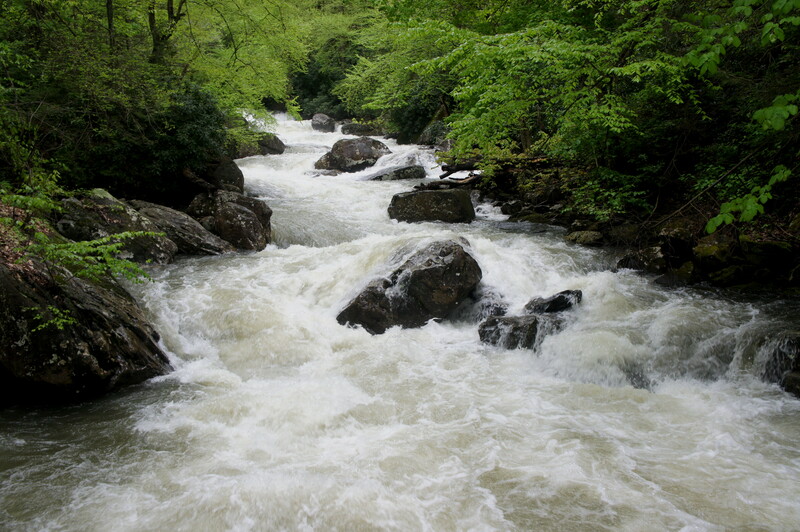 Straight from the annals of hiking obscura, this loop hike in West Virginia’s Babcock State Park is simply spectacular in the spring, when high water levels give rise to roaring rapids and ubiquitous waterfalls. 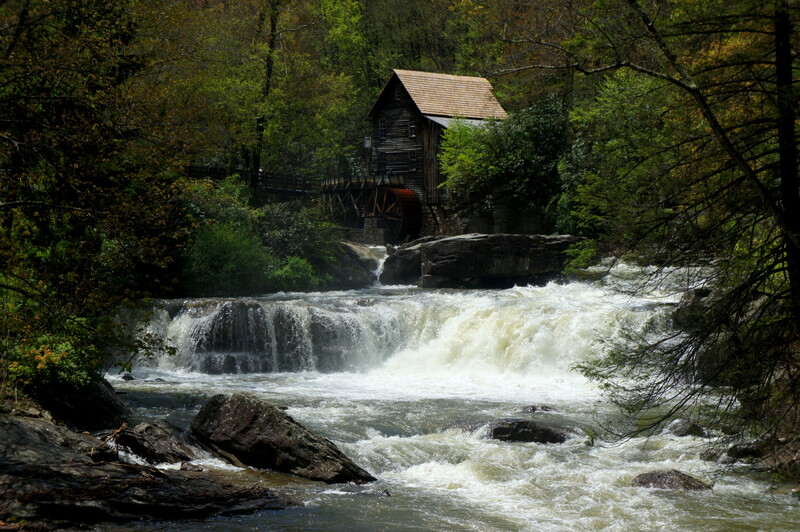 The 7.8-mile circuit begins and ends at the Glade Creek Grist Mill, site of probably West Virginia’s most iconic photographs. See my post on June 5, 2016 for a full trail description. 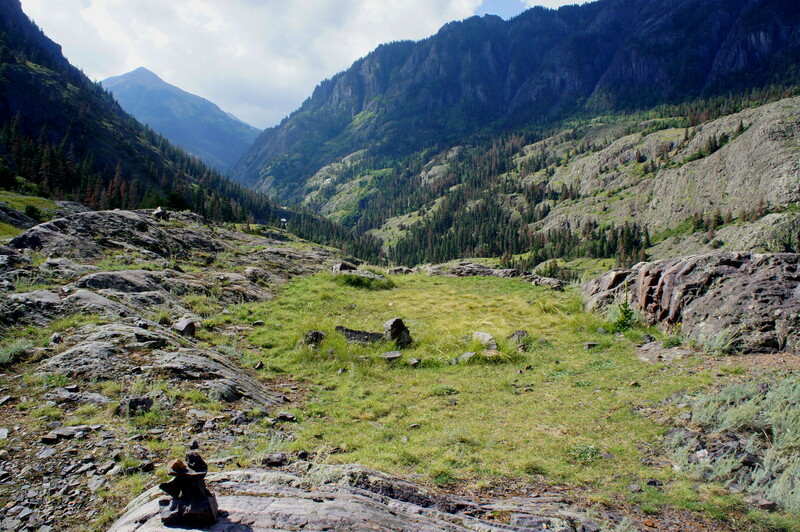 The big winner of 2016 is the Ouray Perimeter Trail in southwest Colorado, marked by its plentiful panoramas and diverse terrain. 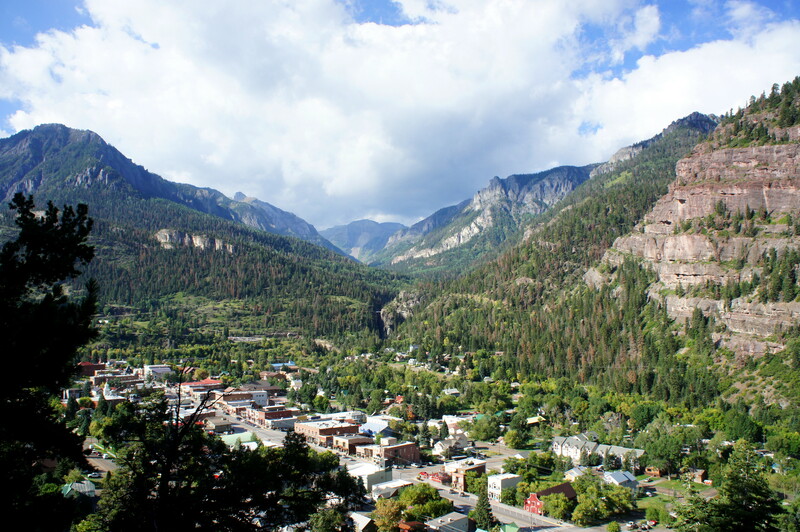 Circling the picturesque town of Ouray, this 4.2-mile hike traverses high ledges, crosses deep canyons, and passes waterfalls and rocky outcrops, all the while surrounded by colorful cliffs and the towering San Juan Mountains. 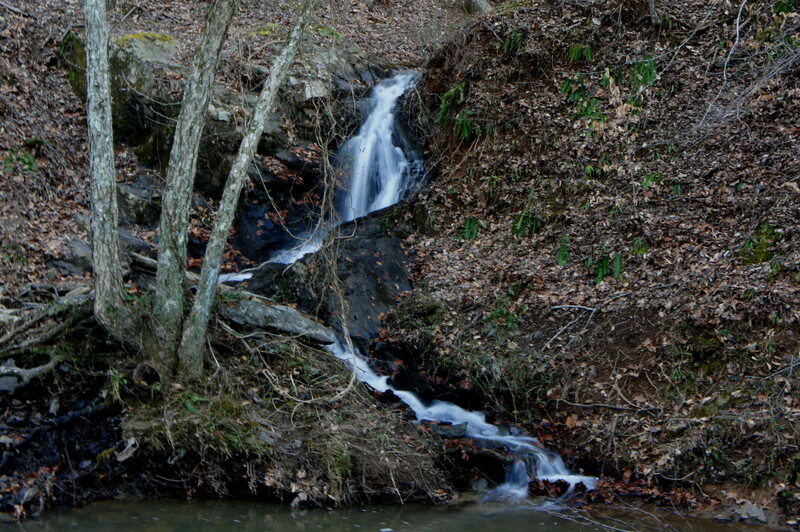 This entry was posted in Babcock State Park, George Washington National Forest, Maryland, Moderate Hikes, Prince William Forest Park, Shenandoah National Park, Sky Meadows State Park, South Mountain State Park, Strenuous Hikes, Sugarloaf Mountain, Virginia, West Virginia and tagged Ambassador Whitehouse Trail, Appalachian Trail, Babcock State Park, best hikes, Buzzard Rock, Colorado, Compton Peak, Maryland, Narrow Gauge Trail, North Valley Trail, Northern Peaks Trail, Ouray, Ouray Perimeter Trail, Portland Trail, Prince William Forest Park, Shenandoah, Sky Meadows, Skyline Trail, South Mountain State Park, South Ridge Trail, South Valley Trail, Sugarloaf Mountain, Sutton Mine Trail, top 10 hikes, Uncompahgre National Forest, Virginia, West Virginia, Weverton Cliffs, White Rocks. Bookmark the permalink. Great overview. Sounds like a great hiking year.